The prize in the 30th annual sweepstakes at PRI was a 727 cubic inch, custom-built engine from Sonny’s Automotive Racing, and it raised more than $100K for Victory Junction. Sunnen nearly doubled previous fund-raising efforts by collecting $102,000 for its Engine Charity Sweepstakes held at the Performance Racing Industry trade show (PRI). The previous record of $59,000 was reached in 2015. This was the 30th anniversary of the Sunnen Engine Charity Sweepstakes, and once again all proceeds went to Victory Junction, a camp for children living with serious medical conditions founded by NASCAR’s Petty family. The winning ticket was held by Mark Wolfe of Arlington, WA . 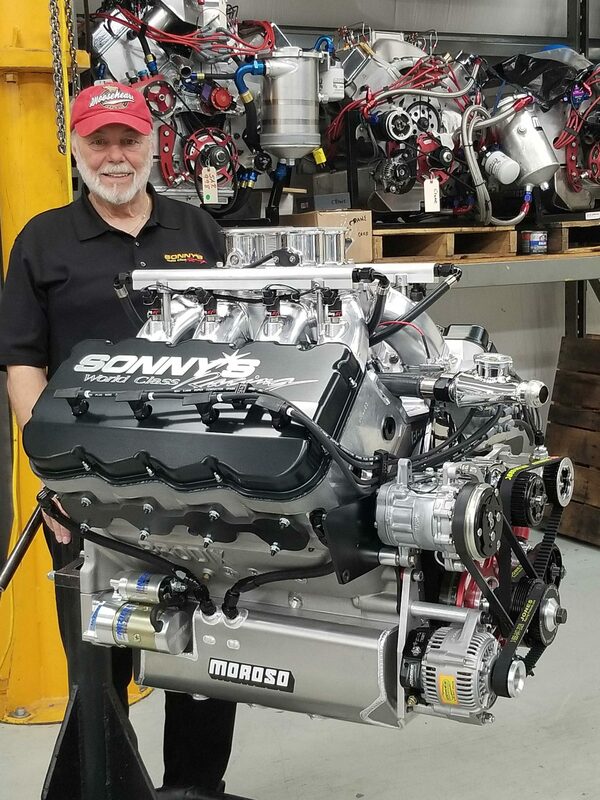 This year Sonny Leonard and the team from Sonny’s Automotive Racing (SAR) in Lynchburg, VA built a high-performance engine valued at more than $ $66,000. The custom-built 727-cubic inch engine included a Sonny’s fully in-house ported hemispherical cylinder heads, Sonny’s/Brodix 5.000 B.S. block, a Bryant billet crank, Carrillo steel billet rods, and more. Over the past 30 years Sunnen, PRI and many well-known engine builders have teamed up to raise hundreds of thousands of dollars for charities within the racing community. Victory Junction was the dream of Adam Petty, a fourth generation race car driver from the famous Petty family and a rising star in the sport. Adam’s passion for racing was equaled only by his compassion for others, especially children. Between races, he often visited children in pediatric hospitals. After his tragic death in a racing accident, Adam’s family and friends came together to realize his dream of a camp to serve children with serious medical conditions. Adam’s vision sprung to life when Victory Junction opened its gates in 2004. Located in the hills of Randleman, North Carolina, Victory Junction is spread across 84 acres, allowing children to do what they do best— be kids, play, imagine, make friends and enjoy the adventures and experiences of camp life. Victory Junction enriches the lives of children with serious illnesses by providing life-changing camping experiences that are exciting, fun and empowering, at no cost to children or their families. For more information, visit victoryjunction.org.